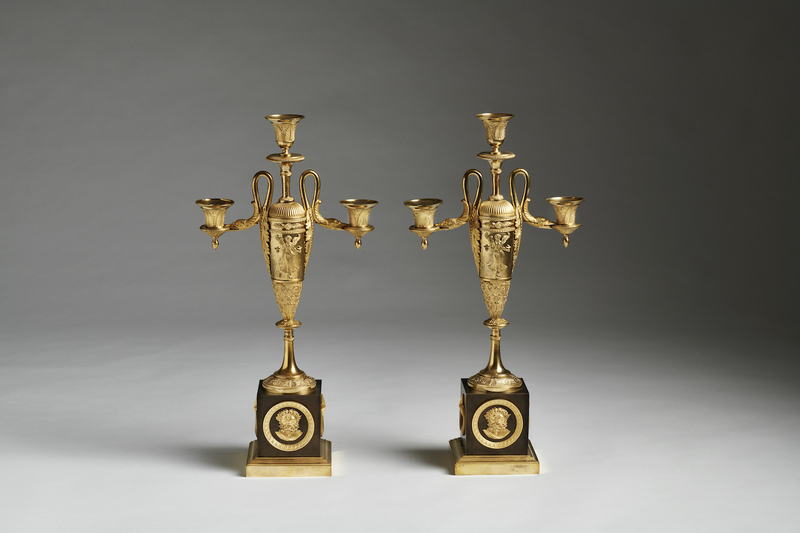 A pair of ormolu and patinated bronze candelabra for three lights, in the manner of Friedrich Bergenfeldt circa 1800. 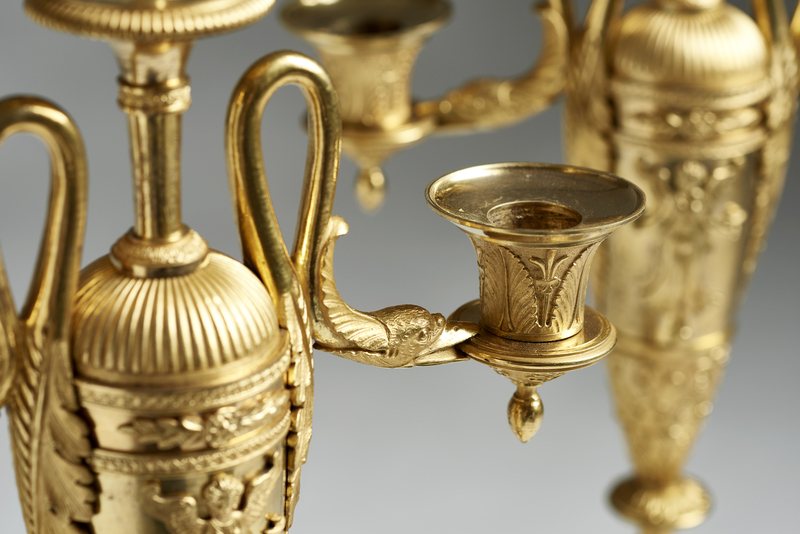 Each candelabra with a vase-form body issuing curved acanthus decorated candle arms terminating in swan heads with a candleholder, the vase centered by a third. 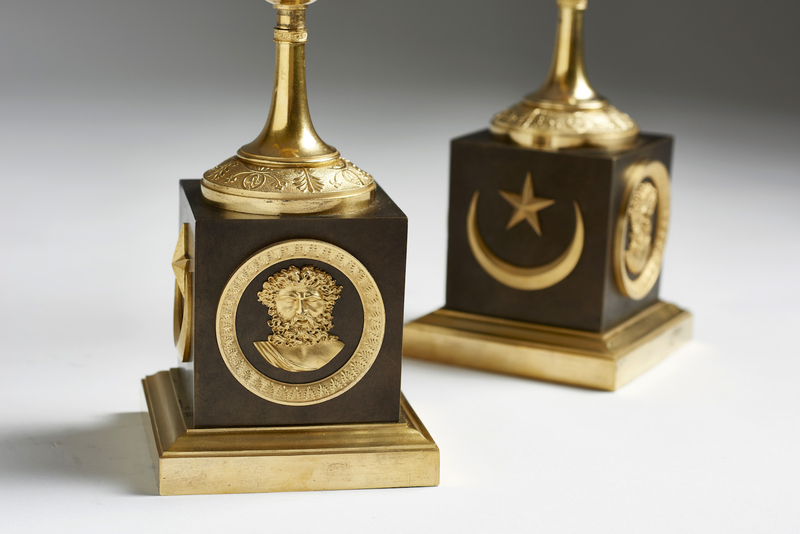 The square base decorated with Zeus, “Father of Gods and men” from the ancient Greek religion and with a crescent and a star.